How long are the windows in your home going to last? Chances are if you’re like the average homeowner, you probably have no idea. More often than not, people end up replacing windows for aesthetic reasons long before the windows have actually failed. It’s important for people to know how long that their windows are expected to last, though, so that they can plan accordingly and make any necessary repairs to them to extend their lifespan. In general, aluminum windows are designed to last for between 15 and 20 years, according to the International Association of Certified Home Inspectors. 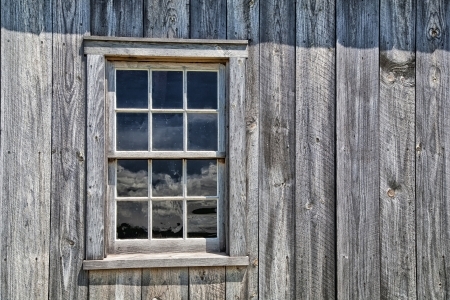 Wooden windows, meanwhile, will often last for more than 30 years. Another common option, vinyl or fiberglass windows, also offer a long lifespan – 20 to 40 years in most cases. Double-pane windows – as a fixture, not considering the glass itself – can last as short as eight years or as long as 20 years, depending on conditions and use. In most occasions, it’s not the glass inside of the windows that presents a problem for homeowners. Glass is an incredibly durable material, meaning that it’s not the panes, but the frames that lead to window replacements most often. With that in mind, you should know that you don’t have to replace an entire window in the event of an accident that causes the glass to break. If you have a relatively new wooden window with cracked glass in it, for example, you can save yourself a lot of money by having a company repair or replace the glass rather than taking out the entire window and putting in a new one. Your window very well might have a lot of life left in it, so why take it out and put in a new one if you don’t have to? The same can be said for French doors and other fixtures in your home that have glass in them. If a single pane of glass or even multiple panes break, you don’t necessarily need to run out and buy a brand-new French door. You can replace the individual panes of glass for significantly less and save yourself the hassle of having to pick out new doors or fixtures simply because of broken or cracked glass. Affordable Glass & Mirror specializes in glass window replacements as well as glass door replacements. Often, replacing the glass is the most cost-effective solution to restore the security and integrity of your door or window. If you need glass repaired or replaced at your home or business, give us a call at 404-361-5151 today to learn more.